Our product range includes a wide range of yoga tote bags, cotton tote bags, yoga tote bag, yoga mat bag / easy handle meditation mat bag, thyana mat bag / aasana mat bag / yoga mat bag and indian ethnic jute yoga bag / traditional yoga mat bag. 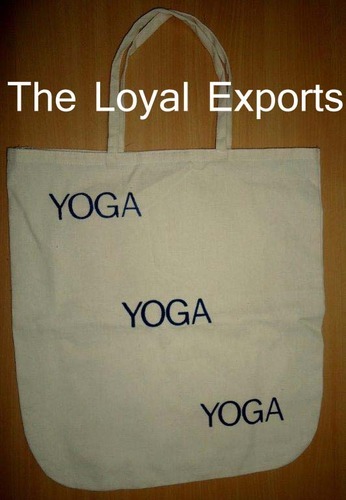 We offer our client an excellent quality range of Yoga Tote Bags. It is a shoulder bag with this type of work on both the sides. It is a old embroidery bag with the inner pocket and base at the bottom. We are mainly looking for foreign Enquiries. 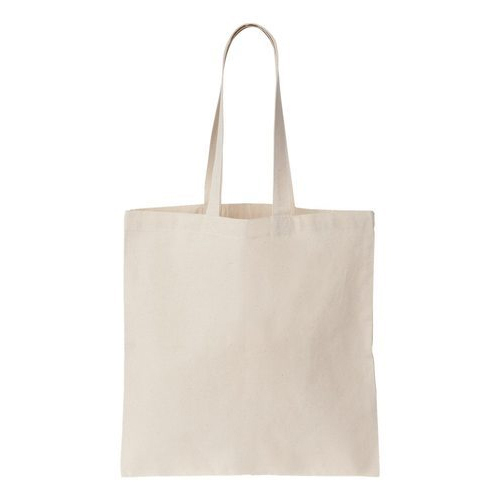 We offer our client an excellent quality range of Cotton Tote Bags. It is a shoulder bag with this type of work on both the sides. We are mainly looking for foreign Enquiries. 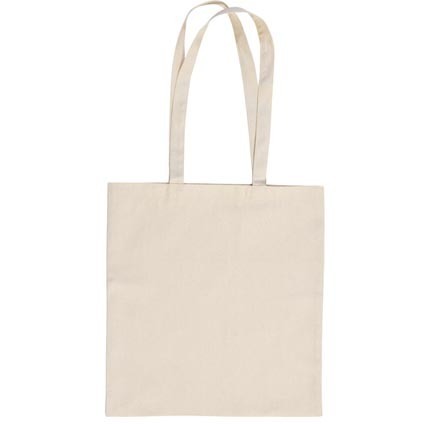 We offer Cotton Yoga Tote Bag. Our Yoga bags can be customized as per our clients requirements. We are mainly looking for foreign Enquiries. We offer Yoga Mat Bag. Our Yoga bags can be customized as per our clients requirements. 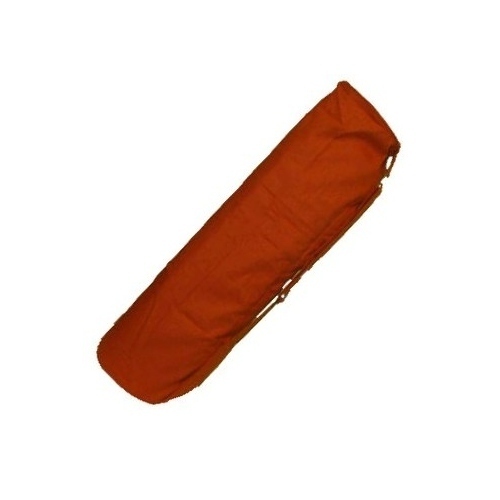 YOGA BAGSWe offer Yoga Mat Bag Our Yoga bags can be customized as per our clients requirements. Specifications Yoga Mat Bag in Cotton Canvas 1. 100% Cotton 2. Drawstring Closure 3. Adjustable Handle. 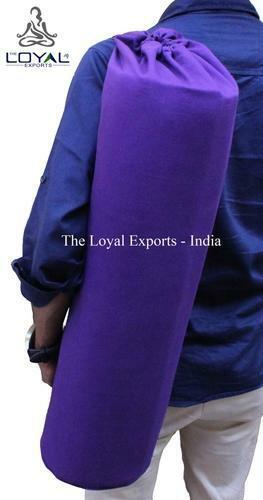 Yoga Mat Bag 1.Easiest way of carrying a mat . 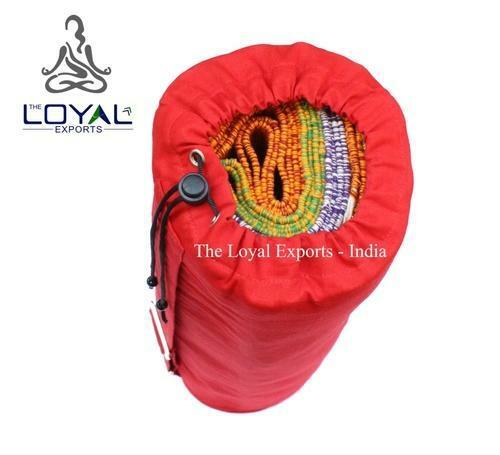 Provided with drawstring closure ( top loading) 2.Material 100 % Cotton Canvas 3.Colours Black, Navy, Burgundy, Purple 4.Customized Yoga Bag with Embroidery 5.Bead/mirror work in the pocket. We offer Cylinderical Shape Yoga Mat Bag. 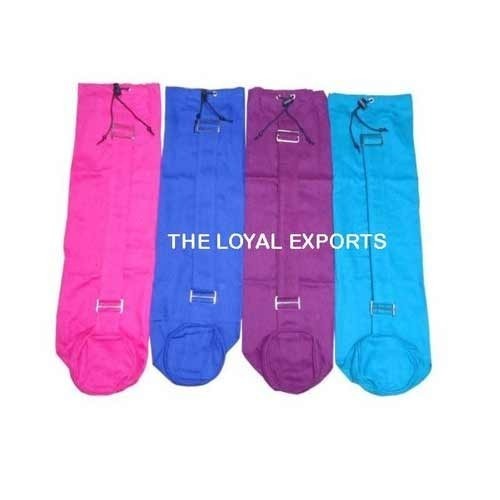 Our Yoga bags can be customized as per our clients requirements. 5.Bead/mirror work in the pocket. 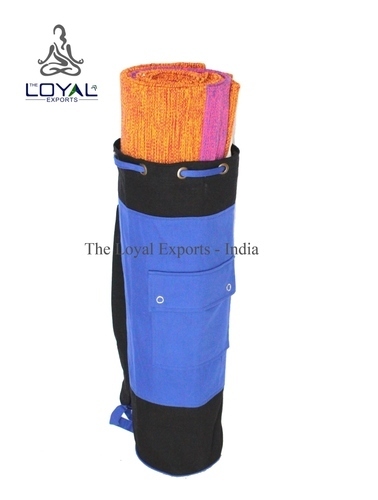 We offer Yoga Mat Bag. Our Yoga bags can be customized as per our clients requirements. We are mainly looking for foreign Enquiries. 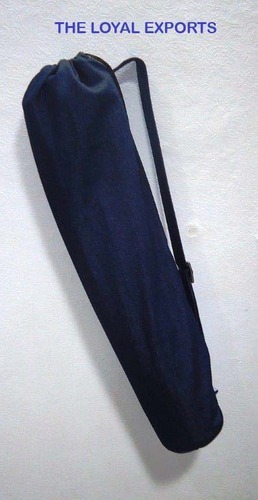 Our Denim/ Jeans yoga bags are stylish and functional. And shoulder strap with draw string closure. 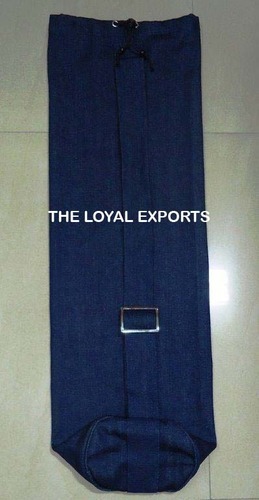 Bag made out of 100% cotton denim fabric.